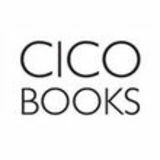 © CICO Books introduction From my own experience, I know that you Many of my earliest and may be so keen to get on to the fun stuff that happiest memories are of you do not read the techniques section in detail— standing on a chair in the only coming back to it later if things haven’t turned kitchen learning how to out quite how you expected. To try to avoid this, cook. Although, over the I have kept the techniques in the following section years, the recipes have as brief as possible, including a few tasty recipes become more complex, the enjoyment remains the same—a love of all and some helpful hints and tips, so try to read it things homemade, the comforting association of first. If you don’t have time to read everything, food and family, and a sense of nostalgia for long look at the baking tips on pp.8–9 and the icing afternoons in the kitchen. It is with this sentiment techniques on pp.16–21. It is a good idea to follow the recipes and measure accurately to start with, that I have approached this book, detailing delicious, homemade gifts for special occasions, then, once you are happy, try experimenting with your own ideas. projects that you can make with children, oldI love teaching people to cook, and there is fashioned holiday baking, and vintage-style nothing more satisfying than seeing someone biscuits for weddings and parties. leave a class with something they did not think Whether you are a first-time baker or an they could make at the beginning of the session. experienced cook, a busy parent or someone All the projects in this book are achievable with with time to bake, this book contains lots of a bit of practice, and many of them are much achievable projects for many different easier to make than you may initially think. Just occasions. And whether you choose something relax and enjoy yourself. Start with one of the that involves helping little fingers to make a simpler projects and build up your skills and messy cookie or creating something beautiful and complicated, the most important thing is that confidence. Ideally, give all the projects a try, and don’t worry if your cookies aren’t perfect the you enjoy making it and people enjoy eating it. first time around—you are likely to be the only Iced cookies are a great starting point for a first-time baker and a fun-to-make addition to an person to notice. And, even if they don’t work out exactly as planned, they will still taste great. experienced repertoire: they are delicious and I hope you enjoy reading this book as much as easy to make, the ingredients are inexpensive, I have enjoyed writing it. If you flick through it and the dough will keep in the refrigerator or can are inspired to make something, then I will have be frozen, they will keep for a long time in an achieved my aim. You probably already have the airtight container and, most importantly, there ingredients you need, so why not give it a go? are endless ways to decorate them. planning your cookies Before you begin baking, think about a few practicalities: how many cookies you need to make, how much time you are likely to need, how difficult the design is, and whether you have all the necessary ingredients and equipment. Start with the Bunting (p.34), Balloons (p.38), or many of the children’s and holiday projects in chapters 2 and 3 if you are new to cookie making or would like to bake with your family. Move onto Afternoon Tea (p.26), Tulips and Butterfly (p.46), Fancy Hats (p.108), and Contemporary Flowers (p.112) to practice new skills and extend your repertoire. If you have made cookies before, you might like to try the Summer Daisies (p.40), Bridal Henna (p.102), Broderie Anglaise (p.104), or French Hearts (p.114). These projects might require more specialist decorating equipment and are a bit more challenging. With some practice and confidence, all of the cookie collections in this book are achievable, and hopefully you will find that many of them are easier to complete than they may look. The most important thing is that you enjoy making them and that the end result tastes good. out of reach to dry. I can’t tell you how many cookies I have ruined by knocking them when they are still drying. Finally, remember to relax and enjoy making your cookies. enjoy! You will usually be the only person who notices any flaws or mistakes in your cookies. Everyone else will be wowed by them, especially if they are lucky enough to receive them as a gift. And if anything does go really wrong when decorating them, the cookies will still taste good, so you can enjoy eating them while you make another batch! designing your own cookies You may also want to use the techniques and ideas in this book to create your own cookies. 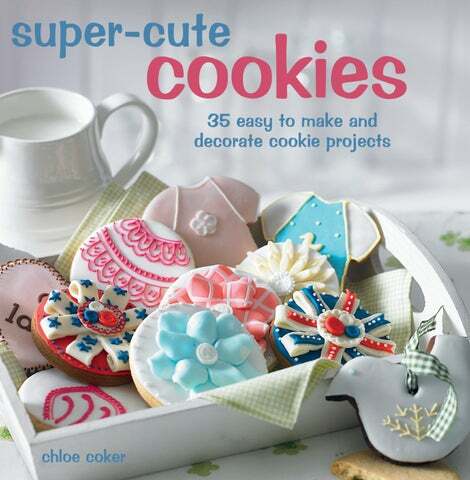 As described on p.11, you can design your own cookies and make your own templates and cutters. When designing a project, it is often helpful to draw out your cookie designs before you start so that you know exactly what you are going to do and you can have all your icing prepared before you begin. I tend to stick to between two and four colors and three or four variations on a design. This gives enough interest while making sure that the batch of cookies all look good together. Make special occasions truly personal with these gorgeous handmade gifts: with balloons and bunting for birthdays and parties, cute baby grows for new arrivals, cookie flowers for loved ones, and kitsch cookies for vintage tea parties, this chapter contains lots of beautiful one-off gift ideas. © CICO Books afternoon tea These kitsch cherry tea sets are inspired by colorful 1950s kitchenware. They are perfect for a tea party, a birthday gift, or Mother’s Day. When the icing has dried, make the cherry stalks by piping “V” shapes in brown icing with another fine tip. Then pipe red dots at the end of the stalks for the cherries using another fine tip. Outline and flood the cookies using a fine tip for the outline and a thick tip for the flooding, following the steps on pp.18—19. To pipe the leaves, pipe a green dot and pull downward and away with the tip as you lift off. Then gently pull a damp paintbrush through the dot to make the leaf shape. With white icing, pipe little polka dots and lines to mark the trim of the teacups. Repeat with the teapot cookies. afternoon tea These kitsch cherry tea sets are inspired by colorful 1950s kitchenware. They are perfect for a tea party, a birthday gift, or Mother’s Day. All of the colorful projects in this chapter are designed to make with or for children: bake apple cookies to take to school, create colorful sea creatures or fun animal faces, make glittery tiaras with little princesses, or trains and boats for young adventurers. animal faces These cute animal faces are simple to make and do not require any tools other than a round or wavy-edged cookie cutter. They are made by simply modeling rolled fondant (sugarpaste), making them a fun and easy project for children and adults alike. The quantities of rolled fondant are enough to make two cookies in each design. For the bear, cover the cookie with rolled fondant following the steps on p.20. To make the ears, roll a ball of brown rolled fondant and a smaller ball (about half the size) of pink rolled fondant. Using your thumb, squash the brown ball into a flat ear shape, leaving a raised edge at the top, which will form the edge of the ear. Squash the pink ball with your thumb and attach it to the brown ball, leaving a thin border at the top for the edge of the ear. Using a knife, cut off the bottom of the ear in a slight curve. Repeat the process to make a second ear and attach the ears to either side of the cookie. For the eyes, roll a small ball of white rolled fondant and a smaller ball of black. Make the white ball oblong and squash it with your thumb. Squash the black ball and attach to the bottom of the white oblong. Repeat for the second eye. For the cheeks, roll 2 balls of white rolled fondant (twice the size of the eyes). Squash them to make circles and mark dots using a toothpick. For the nose, roll a small ball of pink icing. Pinch one end into a “V” shape, flatten slightly, and attach to the cookie. © CICO Books animal faces These cute animal faces are simple to make and do not require any tools other than a round or wavy-edged cookie cutter. They are made by simply modeling rolled fondant (sugarpaste), making them a fun and easy project for children and adults alike. The quantities of rolled fondant are enough to make two cookies in each design. Fill your home with the festive smell of home baking with these projects for the whole family to enjoy: bake decorations for your Christmas tree, keep children entertained with Glittery Ghosts for Halloween, and make cute chicks and bunnies for Easter. baubles These bauble cookies make lovely Christmas tree decorations. Go for turquoise, red, and white for a vintage look or opt for richer colors, such as purples or reds, for a traditional festive look. Making these cookies from gingerbread makes your house smell wonderfully festive. Bake a batch of cookies with a hole in the top. Outline and flood them, using a fine tip for the outline and a thick tip for the flooding, following the steps on pp.18—19. With fine tips, pipe simple patterns onto the cookies in different colors. While the cookies are still wet, sprinkle glitter over them. To get a light, even covering, put some glitter on the end of a spatula or table knife and gently tap the side. Finally, thread ribbon through the cookies so that they can be hung up. © CICO Books baubles These bauble cookies make lovely Christmas tree decorations. Go for turquoise, red, and white for a vintage look or opt for richer colors, such as purples or reds, for a traditional festive look. Making these cookies from gingerbread makes your house smell wonderfully festive.